Whether you're a magazine reader, blog surfer or devourer of novels, something good to read and a few uninterrupted hours can make daily stresses just melt away. The best way to loosen up with a good read is to devote a space in your home, even a small one, to a reading nook. From a home library to a single chair in a corner, almost any space can become a designated reading area. Although not much space is required, every great reading nook features five vital elements. An under-used study, guest bedroom, window seat or out-of-the-way corner all make ideal spaces to transform into a reading nook. Do-it-yourself enthusiasts can convert a double-door closet into a built-in reading area simply by removing the doors and adding a snug-fitting bench. For those working with limited space, placing a cozy chair in the corner of a bedroom or living room can be equally effective. Add open bookshelves or tall plants around the chair to create a distinct space that still appears in harmony with the rest of your decor. 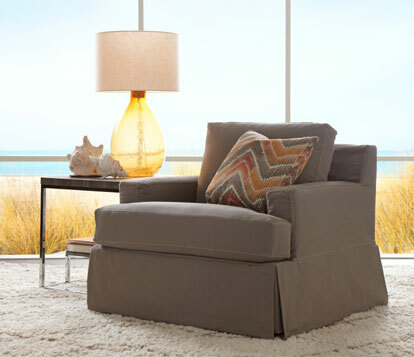 Placing reading nook furniture next to a window provides the soft, natural light ideal for reading. If your floor plan makes this impossible, it's still important to make sure that your reading nook is well lit. To avoid straining your eyes in dim lighting while maintaining a relaxing atmosphere, you’ll need to find a balance between soft ambient and strong focused light. Combining overhead, task and accent lighting provides an easy solution. Overhead lighting is located on or near the ceiling and lights the whole room. Hanging pendant, track or dome lights are good examples. Task lighting, provided by desk or floor lamps, is more focused and directional, perfect for reading or studying. 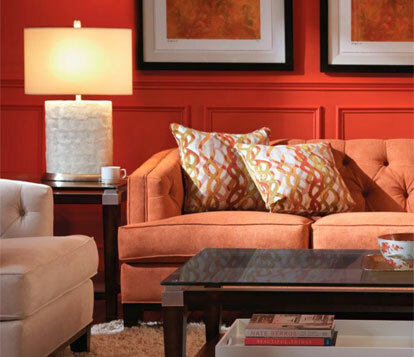 Finally, accent lights, like traditional table lamps with shades, create a soft, warm glow. Combine several of these lighting types, or try reading by each to see which is most comfortable for you. In general, adjustable floor lamps are great for decorating reading nooks, since they can be repositioned easily to direct light exactly where you need it. Room to stretch out is crucial to enjoying quality reading time. 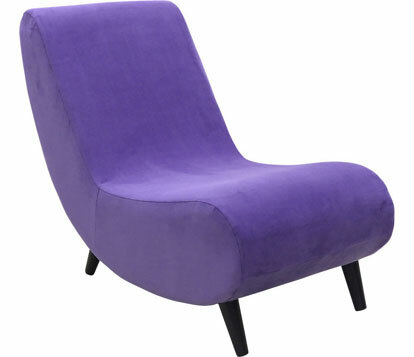 If you don't have an ottoman for your favorite reading chair, consider purchasing one. These multifunctional pieces not only provide a place to put your feet up and relax, but are also the perfect size to encourage a pet to cuddle with you while you read. Adding a small table or storage bench provides a spot to display favorite books, set down reading glasses or hold a cup of tea or glass of wine. Smart accent pieces allow you to feel less crowded while relaxing and keep everything you need at hand. 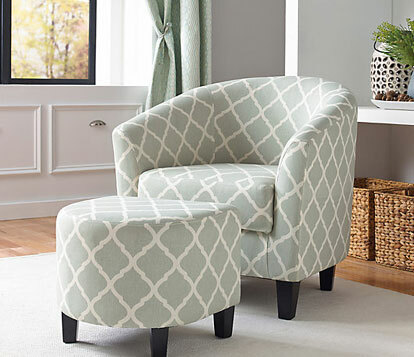 Reading nook furniture should be whatever makes you most comfortable and relaxed, whether that's a low-riding lounge chair, an overstuffed arm chair or a dainty, classic wingback chair. If you have the space, a daybed or futon can also be a good choice, as can a window seat as long as it has plenty of cushions. Once you've chosen your furniture, don't forget to add a pillow or two and some cozy blankets to enhance your reading comfort. Reading is an activity that allows you to tap into the creative part of your brain, letting your mind to wander while imagining what comes next in the story. 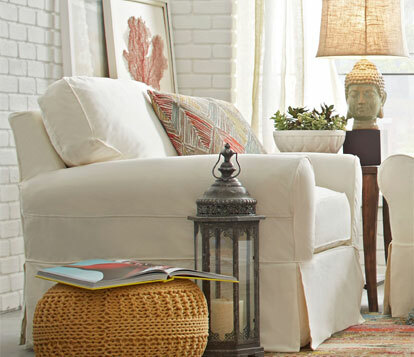 Selecting decor that speaks to your personal style helps to inspire creative contemplation. Choose colors that reflect the mood you want from this space, whether that's relaxing blues and greens, airy creams and beiges or vibrant reds and purples. Wall art is another good choice for decorating a reading nook. Choose landscapes reminiscent of your favorite novel settings or use a corkboard to collect images that are currently fueling your creative spark. Pharmacy lamps and tufted sofas are staples of home libraries and reading nooks for good reason: they're designed with reading in mind. Many people go classic with their reading nook furniture, and you can also incorporate traditional looks into a more contemporary home by accenting them with some modern touches. Add a pouf, geometric end table or abstract painting to your reading corner to balance the traditional with the contemporary. A few hours of reading can be a much-needed boon in the middle of a busy week: a spa vacation for your brain. For those with children, nurturing this habit early prepares growing minds with the fuel they need to thrive. 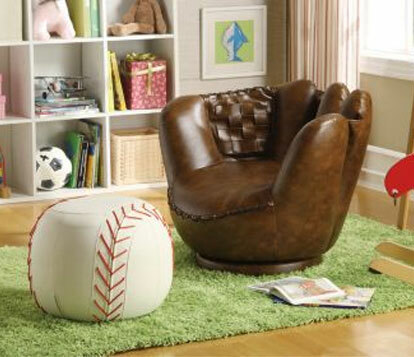 Adapting a reading nook to suit kids is easy with a few fun twists. Hang a canopy or tent over some giant floor pillows to make a dreamy reading fort that you'll be happy to spend time in, too. Book shelves at your child's height can also encourage self-motivated reading, and provide a fun way to create constantly rotating displays of your current favorite reads.